By Staff Report / Wednesday, June 17th, 2015 / Comments Off on Allergan buying Westlake Village-based Kythera Biopharmaceuticals Inc.
Just a few months after it shut a Santa Barbara facility, Botox-maker Allergan has re-entered the Tri-Counties, agreeing to buy Kythera Biopharmaceuticals Inc. for about $2.1 billion. The deal will add the Westlake Village-based Kythera’s treatments for double chins and male pattern baldness to Allergan’s existing line of products, including a breast implant operation formerly based on the South Coast. The cash and stock transaction values Kythera at $75 a share, the companies said in a statement on June 17. That’s about 24 percent above Kythera’s stock price at the close of trading the previous day in New York. 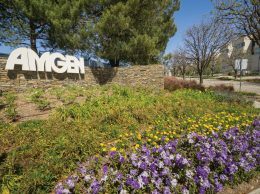 Kythera, founded by former scientists at Thousand Oaks-based Amgen, saw its market capitalization rocket past the $1 billion mark after it won regulatory approval for an injection that is the only approved non-surgical treatment for a double chin. Kythera shareholders will get 80 percent of the purchase price in cash, and 20 percent in new Allergan shares, the companies said. The deal must be approved by Kythera shareholders. Allergan reaffirmed its earnings forecast for 2015 and said the acquisition won’t affect earnings in 2016 and then add profit after that.